As you may already know, I love a good DIY. If I can make it myself, I will. The only thing that usually holds me back is time. However, these lovely baubles are easy and quick to make and will add an extra sparkle to your Christmas tree. 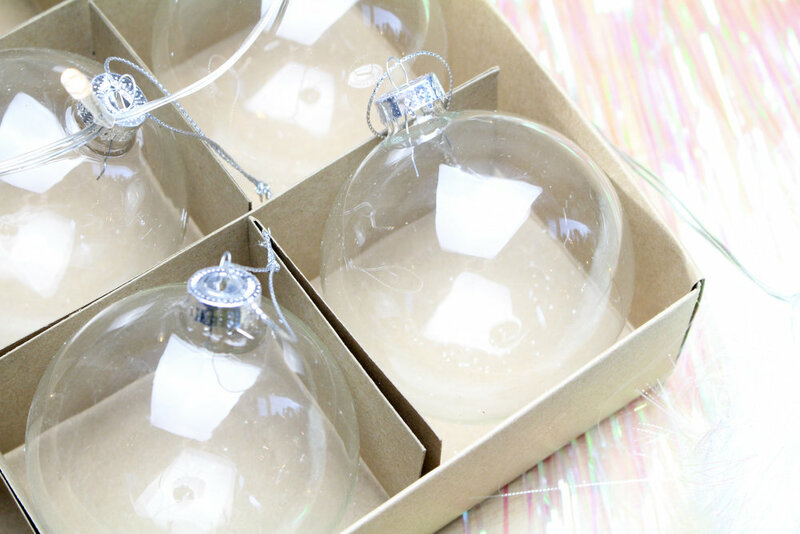 Fillable Baubles (you can choose glass or plastic, whichever suits you best). Something to put inside, such as sequins, glitter, artificial snow, tinsel - anything! Crochet hook 4.5mm max (optional). Firstly, decide on what you're going to be putting in your baubles. I had six altogether, so I opted for two with tinsel, two with this sparkly yarn and two with a mixture of both. 2. Take the 'lid' off the top and carefully start to insert your material into the bauble. If it's yarn or tinsel, I found that twisting it around my finger into a pipe shape helped a lot to initially get it down the small neck of the bauble. 3. Use a crochet hook, or anything long and think enough, to push the rest of the material in. 4. Add as much or as little as you like, depending on the look you're going for. What's great about these is that you can be as creative as you like and change them up with different colours each year. Plus, they look exactly like, if not better, than the ones that you'll see on the high street or in the big department stores. *This post includes affiliate links, which mean I get a small commission if you click-through and purchase something through that link.